As far as separating the art from the artist is concerned, Morrissey is hardly the most complex example – John Lennon, David Bowie, Woody Allen, even Roald Dahl and Picasso carry more convolution than him, but there's a certain amount of blame-shouldering undertaken when you're the one who made the admittedly dubious decision to get tributes permanently inked onto your body. As the lead singer with the Smiths, and with an extensive solo career to boot, he's one of music's most iconic figures. Always an outsider, a beacon for the misguided, his fans can be fiercely loyal and willing to defend him throughout his most troublesome interview pull-quotes. For this article, I reached out to a well-known figure in the Morrissey fan community for their opinion on the Morrissey of today vs the Morrissey portrayed in England is Mine, Mark Gill's Morrissey biopic. They prefaced an interview with the proviso that they would contribute to 'any article that portrayed Morrissey in a positive light', but wouldn't talk about 'his politics, or royals, or meat, or racism', nor respond to questions touching on his personal life and health. It's hard to write about Morrissey – in articles like this which aren't music-focused – without side-eyeing his widely-reported views on those banned topics. For a man who has made his living from being unafraid to stand up for his beliefs, his fans, in my experience (myself included), are more inclined to stay out of it. Those fans unwilling to dig into the more salacious aspects of Morrissey will still go to see England is Mine. But, is it necessary to know about Morrissey's younger years, about his personal life, about his political views and wellbeing in order to be a fan? All signs point to no, but it's against human nature not to be interested, particularly dealing with a man who tantalises contradictory views and opinions in both lyrics and interviews. Why, then, does the film exist? Perhaps to show a different version of the aloof, curmudgeonly figure depicted by the media these days. Is it a chance to see a Morrissey newcomers might not recognise: a furiously ambitious and talented individual, bored with his tax office job and looking for something more from life? The film, based in 1970s Manchester, depicts a shy, insecure figure, scared to break from the mainstream, but simultaneously desperate to be that fish out of water. Turning points include his discovery of the city's vibrant underground music scene and friendship with artist Linder Sterling, not to mention the film's culmination: a fateful meeting with Johnny Marr (the rest, as they say, etc). This bright-eyed, excited soul is at odds with Morrissey today whose brand veers from media troll to someone who has no fucks left to give. Or perhaps someone who just wants to be left alone. Therein lies the crux. The Morrissey brand is also a secretive one, he's managed to be protective of his personal life his entire career, despite fans and journos alike nipping his ear. Rightly so. Still, it will be an interesting depiction – to see this fictional Morrissey (played by Jack Lowden) unblinkered by fame, unaware of how he will be handled in the public eye, who hasn't yet opened his 'mealy mouth' to the world. 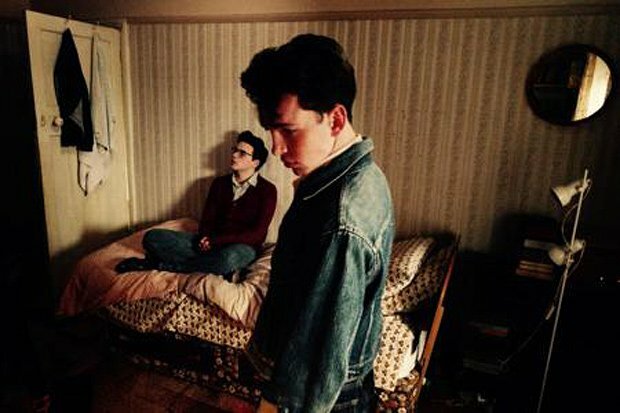 England is Mine has its world premiere at Edinburgh Festival Theatre on Sun 2 Jul as part of EIFF.